Cie has the all-important role of coordinating Howard & Sons Pyrotechnics projects from start to finish. Cie’s tasked with managing a client’s pyrotechnic project ensuring the client is provided with a full turnkey solution and they can be assured all elements of the job are completed with such efficiency and professionalism. Through her 12 years at Howard & Sons, Cie has worked in and out of the office to be trained up in all aspects of pyrotechnic management and now is a fully licensed Master Pyrotechnician. Cie favourite part of her job is seeing the amazing children’s reaction to the displays she produces, which in turn put a smile on the client’s faces. Cie comes into the Howard & Sons family from her own huge international family, with a Peruvian husband, New Zealand Maori father and an Aussie mum. She is oldest of 5 children, has over 10 nieces and nephews, over 50 first cousins, and over 30 aunties and uncles. Giving her the perfect experience for the ‘pyro mother’ role that she plays for the 120+ pyro crew and 400 odd clients that she looks after all year round. 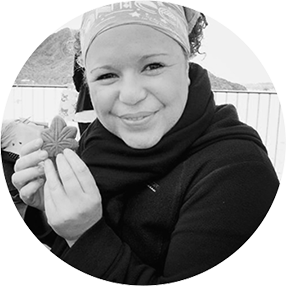 When Cie is not aligning all the pyrotechnic stars she enjoys cooking with her husband Miguel, spending time with her family in the outdoors, coaching netball, watching movies, reading, and travelling. And Cie seems to always wear black in weeks leading up to the All Black v Wallabies rugby test matches.